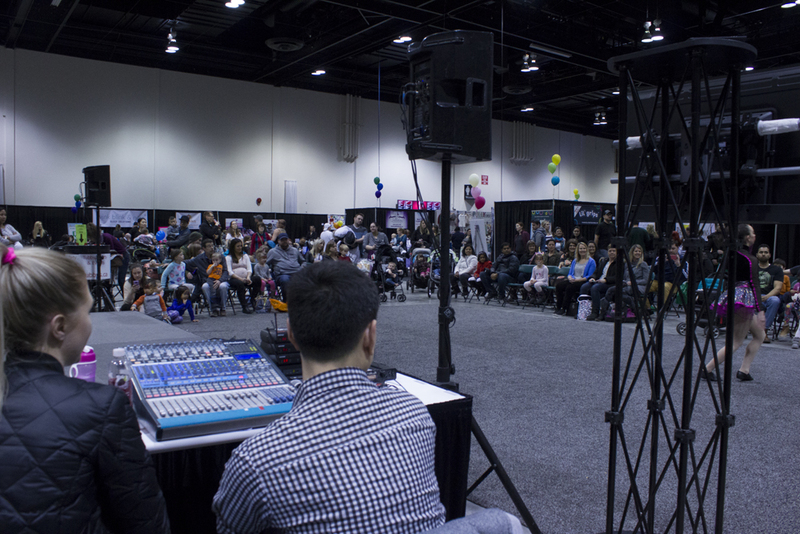 The BMO Centre held several events over the weekend of April 7th and 8th, and we were honoured to assist with the Annual Baby & Tot Show, as well as the Cannabis & Hemp Expo. 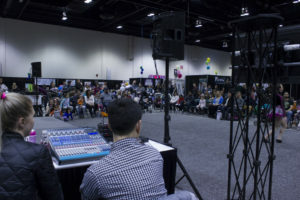 Calgary Show Services setup and handled two stages — each with at least two speakers, and various headsets and hand held microphones to amplify the presenters, and to ensure the performance music aided the stage. The organizers of the Baby & Tot Show worked with Mike of Calgary Show Services to ensure the presenters and young performers could hit their mark and moment. Sam Kimura, RN, also known as The Mama Coach, demonstrated emergency responses during her Infant CPR and Choking presentation. 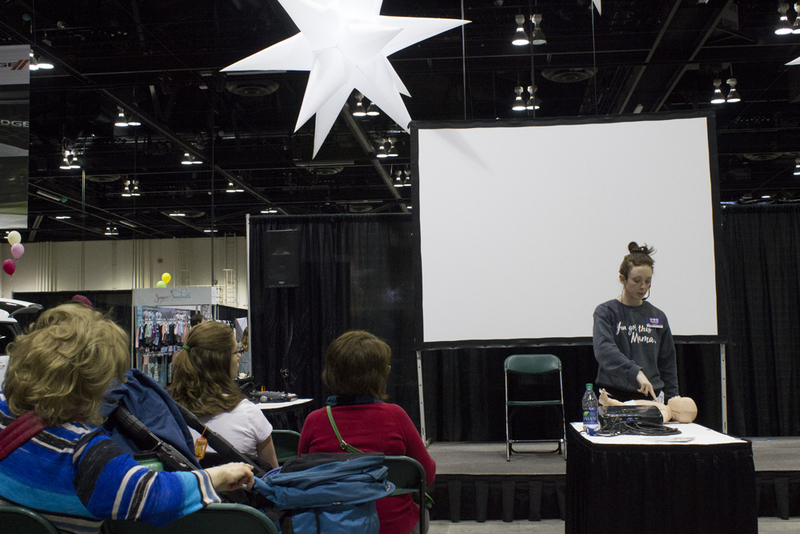 Her presentation required a headset, so she could demonstrate the procedure properly. We simultaneously set up and ensure a quality production for the Cannabis & Hemp Expo. This stage required a projector and screen, and room for multiple speakers. Ultimately, the presenters came through loud and clear, which is particularly important for any kind of panel discussion. 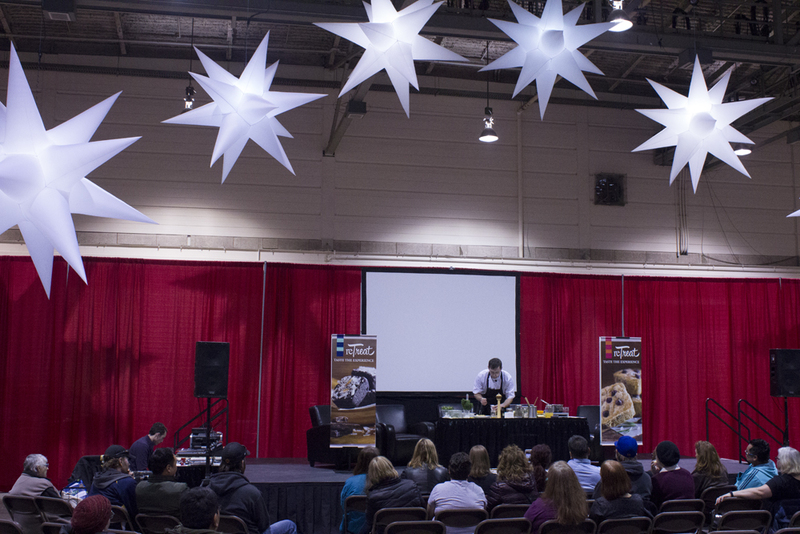 John Michael MacNeil required a headset while giving a presentation on Cooking with Cannabis, which allowed him to get in the flow of his presentation and cook cannabis-infused meals without having to worry about the microphone. 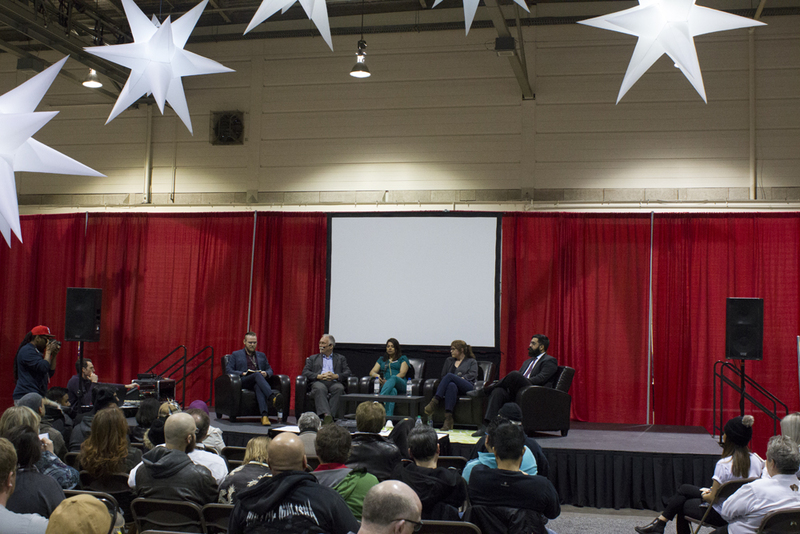 We had options of headsets or handheld microphones for the panel discussion on Cannabis 101: Discussion of Legalization and the Products to Come, which allowed various speakers to speak to their own personalized manners.